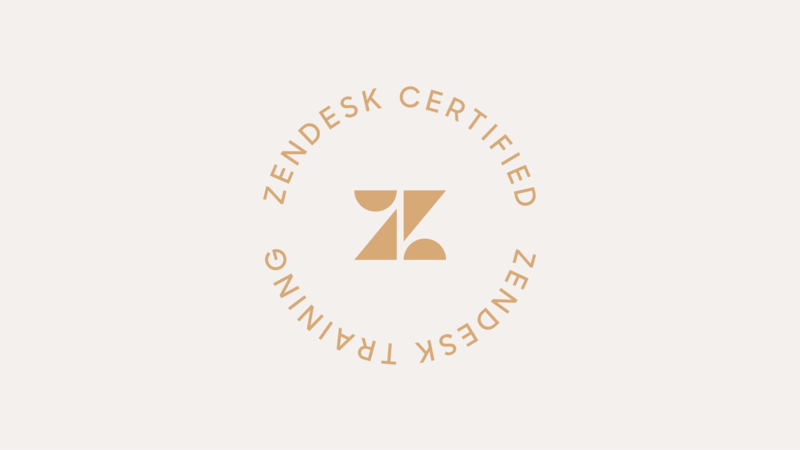 If you’ve mastered Zendesk Support for Admins, I and Zendesk Support for Admins, II and you run your operations like a well-oiled machine, it’s time to validate your skill set by becoming a certified Zendesk Support Administrator. Be recognized for your in-depth knowledge and earn your employer’s trust as the go-to person on your team for Zendesk. The official stamp of approval will also raise your profile for career growth opportunities whether your goal is to take on new projects, leadership roles or even start your own customer service organization. Step 1. Leverage our Exam Guide to get a better understanding of the exam topics and where you might need to brush up on your skills. Step 2. Now that you’ve identified potential learning gaps, fill them in by taking one of our recommended training courses online or at an Admin Training Day, and browsing exam topics in our help center. Step 3. By now, you should be feeling pretty confident in sitting for the exam. As a final step in your preparation, we recommend taking our On-Demand prep course. You'll get an insider's look at our testing system (how to register, etc.) and you'll be able to take a practice test. To register for the exam, click the button at the top of this page. You will be redirected to Webassessor, where you'll create a secure test taking account specifically for the Certification procedure. Check out our exam FAQ. If you can’t find what you need, contact us at certification@zendesk.com. You've proven that you've got what it takes to become certified and now it's time to maintain your certification. Recertification will keep your Admin skills sharp and ensure you're up-to-speed on any product changes or enhancements since you last certified. Step 1. Review the Exam Guide to re-familiarize yourself with the exam topics. Step 2. Take our On-Demand prep course to leverage the 25-question, exam-grade practice test. Step 3: Schedule your exam - Login to Webassessor using your test taker credentials and register for an onsite or online exam.